velocities. These higher velocities have generally been rcachcd by decreasing the bore and increasing the powder space. Both of these practices result in increased breech pressures which, if handled with care ana proper steels, need have no bad results, but therein, for the experimenter, lies the catch, for very often he has neither the ability nor equipment himself to build a proper action of the correct steel to give him a margin of safety in his experiments. The result is that he fits a barrel chambered for some large cartridge, necked-down to his special caliber, to some existing action which someone gave him or which he picked up for a few dollars, and the results are often disasterous. I read of one case where a supposedly-adult citizen rechambered his Stevens Favorite .22 rim-fire rifle for the Savage .22 Hi-power cartridge. Luckily he was able to display to a friend, who had more knowledge of rifles than he had, the pieces of the former Favorite and receive a well-earned lecture about monkeying with the buzz-saw. There are several existing actions for rifles that, with a full knowledge on the experimenter's part of the forces he is handling, are safe for experimental use for high-power cartridges. The outstanding one of these is the model 1917 U. S. Army rifle, commonly known as the Enfield, or its counterpart, the Remington model 30 bolt-action. These actions are made of nickel-steel and have a very heavy receiver ring. This receiver ring is the weak spot, of a bolt-action and for this reason I condemn, for experimental purposes, an action with any holes drilled through the receiver-ring, such as is often done for mounting telescopes, for this weakens the ring and the screws inserted in these holes do not replace the lost strength to the ring. Yes, I know that the Winchester model 70 action has this receiver ring drilled and tapped at the factory for scope mounts, but Winchester does not sell this re ceiver for experimental purposes, they sell it, attached to a barrel of their own make, for cartridges loaded to standard pressures—for which it has ample strength and a wide safety-margin. Some of the heavy-type single-shot actions are suitable for experimental purposes with a rim-type cartridge case where pressures do not exceed 50,000 pounds per square inch. The outstanding action of this type is the Winchester heavy-type, high side wall, #3 action, blued, not case-hardened. The latest actions of this make were of nickel-steel, and are marked (NS) on the receiver ring. The English Farquahrson action is a second one that is strong enough for this work and a third is the Stevens #44J/2 action, but not the Stevens #044J^, which is the light-weight English model and too light for the larger-bodied cartridges for use in experimental work. The fourth suitable single-shot action is the Sharps Borchardt and the last is the Remington Hepburn. Some of these actions, in fact all of them except the nickel-steel, blued Winchester action, are case-hardened, a type of heat treatment we have been taught is unsafe. This is true to a certain extent, in that extremely deep case-hardening will make a piece of steel too brittle to withstand continued shock. The design of these single-shot actions listed, however, leaves no part of them thin enough for the case-hardening, of the type used on them, to penetrate completely through the steel, leaving them safe enough, as stated before, for pressures up to 50,000 pounds per square inch, provided proper head-space is maintained. Usually, in experimental work, there is no excess head-space, as the experimenter is dealing with cartridge cases he forms himself and they can, and should, be formed to fit the chamber exactly. Using a commercially-made cartridge in case-hardened actions comes under a different head, as these are made by various factories, or in different dies in the same factory quite often, and you will find a variation in their head-space meas-urments. A cartridge that fits the chamber exactly, gives the action one type of shock, and the cartridge with excessive head-space that allows it to take a running jump at the breech-block transmits a totally different type of shock to the action, besides allowing the cartridge case to stretch and sometimes reach the bursting point, and never jorget that an action is only as strong as the cartridge case. When a cartridge case bursts and lets the pressure back into the action, no action we have will withstand it. These rimmed cases, which arc adapted to these single-shot actions, are all of more or less ancient design and do not have the strength of the modern cases such as the .220 Swift case. The reason that the case-hardened Springfield actions have been condemned by most authorities for use with pressures of 50,000 pounds and more is that the receiver ring, where it is cut out for the bolt lug space, is very thin, and on many of these actions the case-hardening has penetrated entirely through the receiver ring at this point, making it glass-hard and very brittle. A case of excessive head-space on a rifle with a receiver ring as brittle as that will quickly result in a burst action. Drilling these receiver rings, for telescope sight mounts, further increases the danger of a burst action. When the .220 Swift cartridge was introduced, a new set of complications was handed to the reloader. Old reloaders of many years7 experience found their pressures running unaccountably high, often reaching 66,000 and 68,000 pounds per square inch. Careful checks showed that lengthening of the cartridge cases, by the brass flowing forward under high pressures, was sometimes crimping the mouth of the case upon the bullet, thus causing extreme pressures. These checks further showed that when the brass flowed forward it thickened the neck of the case, cutting down neck clearance in the chamber, another cause of rapid rise in pressure. It was further discovered that a change in the length and shape of the bullet nose made a difference in pressure. None of these troubles had appeared in larger cartridges using pressures approaching the .220 Swift standard pressures, at least to no appreciable extent. Reloaders found that these .220 Swift cartridges and others of later appearance of the same type, had to be checked for overall length from time to time, and be shortened at the mouth as they stretched, also to have the inside of their necks reamed to standard size as the brass in the necks thickened. These examples show you that in experimental work involving high pressures, the cartridge case must be examined carefully after being fired, before being reloaded. It should be carefully checked with a good micrometer caliper and the measurements checked against those of the unfired case. Heads of the fired cases should be thoroughly examined, both inside and out, in a good light with a high-power magnifying glass for cracks, for these will often be found, especially on the inside of the head, near the side wall of the case. Actions used in firing this class of cartridge should also be taken apart and very carefully examined with a good glass from time to time to check them for cracks, especially the bolt lugs, and for signs of battering. Several of the Krag actions, in which the .22-3000 cartridge has been used, have developed cracked bolt lugs and as the Krag has only one bolt lug to crack it is evident that this action should not be used for high-pressure work. Don't think that because a cartridge is small in size it cannot develop high pressures, for it can and usually does when a fine-grained powder is used in large charges. A Study of American Single-Shot Actions. The amateur gunsmith should exercise considerable caution and study as to just what model and type of rifle action he utilizes, or modifies, to adapt for use with some more modem barrel or cartridge. Not every action readily procurable may be suitable for the purpose in mind—and 1 mistaken choice in this vital part of the arm can prove extremely serious, if not fatal. Above are shown sketches of the various single-shot actions available to American riflemen for remodeling into modem •¿rget and varmint rifles. A is the old Ballard action, which has a vertically-split breech-block, pivoted at the front and swinging up in an arc to lock. Breech-block is supported 1 behind end of barrel and Vs" below barrel top when locked. The Ballard action has a forward camming movement as it locks and is thereby much liked by small-bore shooters for con version into a 22 L R match rifle, for which cartridge it is well adapted, but it should never be used with modem cartridges of power greater than the >22 Hornet. B is the old Stevens 344 action with a solid breech-block, pivoted at front and swinging up in an arc to lock. It is supported XVs" behind end of the barrel and at bottom edge of barrel when locked—and is not a very "tight" action. This model has been obsolete for more than a generation and is not a suitable action to convcrt for use with modern cartridges. C is the Winchester high side wall $3 heavy action. Its solid breechblock slides vertically in grooves in the frame and when locked is supported }A" behind end of barrel, clear to the top of the chambcr. This is the safest of all American single-shot actions to convert for use with modern, high-pressure cartridges. D shows the Sharps Borcliardt, with its solid brecch-block sliding vertically in grooves cut in the frame sides. It is a strictly hammerless action, using a firing-pin of the bolt type, surrounded by a coil spring. The block, when locked, is supported 1" behind the end of the barrel, clear to the top of die chamber. This is a powerful and safe action, much liked for conversion, but it is rather hard to obtain and is not often seen amongst shooters. E is the popular Stevens #44l/2 action, having a solid breech-block sliding vertically in grooves cut in the sides of a very heavy frame. When locked, this block is supported Vs" behind end of the barrel and Vz" below its top. 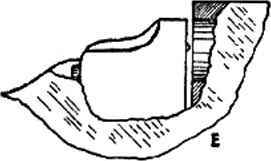 The hammer is set very low, at the bottom edge of the barrel, and the firing-pin passes through the breech-block at an upward angle— broken firing-pin noses are common with this action. When converted, it makes a handy, neat-looking job, but it is not as strong an action as the $3 Winchester nor the Sharps Borchardt. F. The Winchester light action has a solid breech-block sliding vertically in grooves cut in the frame sides. This block is supported Va" behind the end of the barrel and V2" helow its top, when locked. This is a handy-loading action, neat and well-liked for conversion to light-weight hunting rifles—but it should not be used with any hut cartridges of moderate power. The Remington Hepburn action is not shown—but it is one of the strongest of all. It is a solid block, vertically sliding action, operating in grooves cut into the sides of the frame. The breech-block, when locked, is supported Vi" behind end of barrel and clear to the top of the frame. The hammer is set low in the frame and firing-pin passes upward at an angle. However, this is a rebounding hammer, which does not support the firing-pin—thus making it unfit for very high pressure work unless the action is altered, removing this rebounding feature from the hammer. Another desirable alteration to make is to fit the action with an operating lever working underneath the trigger guard, because it is troublesome to extract stuck cases with the standard side-mounted, thumb-operated lever—and plenty of cases are apt to stick in this action. use with high pressures or for use with any of our modern-type cartridges beyond the Hornet or the ,25-20 single-shot Super Speed. The fact that the .22-3000 has cracked lugs off of Krag bolts shows that this cartridge is not safe for use in a Ballard action. There are two reasons for this, one of which is the two-part breech-block of the Ballard and the fact that it is not supported on the sides nor at the rear directly behind the barrel, as the Winchester high side wall action supports its breech-block. A pierced primer or a spread case head with high-pressure loads will allow gas to enter between the two sides of the breech-block, which may result in blowing the firing-pin entirely out of the breech-block and into the shooter's face. The second reason for condemning the Ballard action for high-pressure work is that many of these actions are made of Norway iron, which is much softer and lacks the strength of steel. I consider the model 44 Stevens action unsafe with any cartridge of modern type, beyond the Hornet, as the breech-block is not well supported and the hammer fails to completely cover the rear end of the firing-pin, making possible the escape of gas to the shooter's face in case a primer is pierced in a high-pressure load. In trying out new charges, or newly-formed cartridges, the rifle should not be used from the shoulder until a number of cases have been fired and carefully examined for signs of pressure and improper chambering. Glasses, of the type known as "Armor Plate" glass, should be worn in testing out various charges for accuracy in a new-type cartridge, so that in the event of gas or primer pieces flying to the rear the eyes are well protected. Some years ago I had an experience with reduced charges in the .256 Newton rifle. The bullet used was an 87 grain and the powder charge was 18 grains of #80 duPont. When I first loaded these cartridges they shot very well and gave no trouble, but one box of these had remained unfired and had been moved around and shaken up considerably. I decided to fire them one day and upon firing the first one received a blast of oil in my eye, from around the firing-pin. I examined the fired case and found that the primer had been pierced. I was sure that there were no overloads in this box, the fired case showed no signs of pressure and as I had been firing high-power loads with the rifle steadily I knew the firing-pin was all right. Well, to make a long story short, I fired five more of these loads, holding the rifle in my hands but not at my shoulder. This resulted in five more pierced primers, so I stopped shooting and came home with the balance of the loads unfired and proceeded to tear them down and investigate. I found nothing wrong at first, except that the loads ran a consistent amount light in powder charge, according to the weight marked on the box. As the amount they were short was very small, I thought nothing of it at first until I examined the powder more closely and found that it contained a rather large amount of fine stuff in it. As #80 is a soft-grained powder it breaks-down rather easily and it had done so in these loads because they had been moved about and shaken up considerably since being loaded. I still couldn't see that this would make high pressures in this large .256 Newton case in the small amount of 18 grains of powder and neither did the fired cases show signs of high pressure. A thought suddenly came to me, so I carefully pressed out an unfired primer from one of the emptied cases and found my answer to the pierced primers—each primer pocket, beneath the primer, was packed with dust-like #80 powder, setting up an extreme pressure directly against the primer when the cartridge was fired. Just a small thing, but it again taught me that nothing is too small to be neglected in connection with a firearm. The modern primers are very stiff and heavy, especially the Remington primer, and for this reason do not rely upon the appearance of the fired primer to judge pressures. This does not mean that you can neglcct the appearance of the fired primer, for a study of it will show you a great deal. 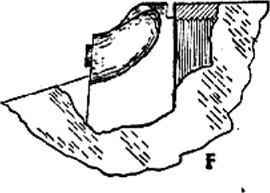 There are certain appearances of the fired primer that indicate high pressures ; such as a sharp, square, or an overflowed edge, where the rear face of the primer meets the primer side wall; a raised rough ring around the firing-pin indentation, although this may only indicate an enlarged firing-pin hole in the breech face; or black streaks on the head of the case, radiating from the primer, although this may be caused by cartridge cases with too soft a head-anneal, allowing the head to spread slightly, enlarging the primer pocket. A primer partly raised above the level of the case head, after being fired, indicates excess head-space. Commercial primers vary quite a bit in weight, indicating uneven charges of priming mixtures, as the metal parts of the primer will vary practically nothing in weight. The Frank ford Arsenal primers run very even in weight, giving very consistent ignition from shot to shot. They are, however, softer than the latest-type commercial primers, although the material out of which they are made is very tough. Brass cartridge cases vary widely, between different makes, in thickness of brass, anneal and grain structure of the brass. The ideal brass case is one made of heavy, very fine-grained brass with a tough, springy anneal. The life of this type of case, under ordinary use, is almost unlimited and it is the ideal case for experimental work. All our commercial cartridge factories turn out very good cases and Frankford Arsenal does so at times, but none of them consistently give us the ideal case described above, so examine fired cases carefully in experimental work. 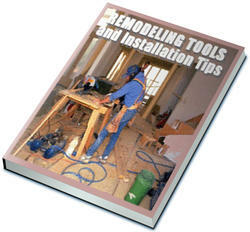 Cases may be cut to determine brass thickness but should be broken to see the grain structure. Discard at once all cases of any certain make that show a coarse grain structure, for they are dangerous. If they are annealed to a point to leave them springy, they are very liable to break after very few reloadings. If they are annealed soft enough so there is little danger of breakage, they will stick badly in the chamber at pressures of 50,000 pounds or more per square inch and have the added danger of spreading heads, that will allow bad gas escapes around the primer besides dropping the primer from the case into the rifle action. There is always the chance of a few cases sticking in the annealing drum and going through the annealing process twice, which will leave them quite soft, but this does not often happen, so a soft case turning up now and then is not reason enough to discard all cases of that make. Beware of very tight chambers. They show no improvement in accuracy over the chambers used in the model 54 and model 70 Winchesters (which in my opinion are ideal) and they run up pressures very fast. A standard load used in them usually results in primer pockets spread enough to drop the primers and they give practically no increase in velocity. A fired case should show at least .002" expansion all over, above the size of the unfired case. On the other hand look out for the over-large chamber. A fired case that shows an expansion of .008" to .010" at the rear of the body, just where it joins the solid head, indicates a chamber far too large, although in isolated cases this may be due to an undersized cartridge case, which is liable to happen once in a while in a caliber that is not universally made, of which there are several, such as some of the 6.5 m/m calibers. Be very careful in using Newton rifles with which you are not familiar, as many of these have been carelessly fitted-up by inferior mechanics and often have a great deal of excess head-space in the chamber. I have seen a ,256 Newton with .02 7" excess head-space and only recently repaired a .30 Newton having .025" excess head-space. Before using one of the many models of Newton rifles, either examine a lired cartridge case from the rifle or place a new cartridge within the chamber and then cut shims of brass or thin steel and place these upon the head of the cartridge within the chamber until the bolt closes with some effort upon the cartridge and the shims. You may then remove the shims, measure their thickness with a micrometer caliper and thus determine the excess head-space, if any. If it exceeds .008" do not fire the rifle. If a cartridge case is available that has been fired in the rifle, carefully compare it with a new, unfired cartridge. If excess head-space is present in the chamber the distance from the head of the fired case to the shoulder will considerably exceed that same distance on the new, unfired cartridge, also the body of the fired case will be greatly expanded near the rear end, just ahead of the solid head. This is caused by the cartridge backing up in the chamber upon being fired and as the chamber is tapered, being larger toward the rear, the farther to the rear the case moves in firing the larger the body will expand. This body expansion may occur from a large-diameter chamber which has no excess head-spacc, but this condition is almost as bad as excess head-space. Recently I was asked to remove excess head-space from a .30 Newton rifle which has .025" excess. As no .30 Newton chambering reamer was available, the shoulder of the barrel which butts against the front of the receiver was cut back .022". The barrel was then screwed tightly into the receiver and the new position for the extractor slot was marked on the rear of the barrel. The barrel was then removed and the new extractor slot cut. The sights had previously been removed from the barrel, the rear one being an open sight set in a dovetail slot and the front one being a blade sight set in a band encircling the barrel at the muzzle, but separate from it. The old dovetail slot in the barrel for the rear sight was filled with a tight steel block which was filed and polished down to the barrel contour, then a slot was cut for the sight in its new position. The band for the front sight was replaced on the barrel in the new position, fastened there and the barrel was reblued and replaced in the receiver. The shape of the cartridge case has a great deal to do with what breech pressure a load developes. A case with very slightly tapering sides, such as our .30'06, with a sharp, short taper at the shoulder from body to neck, causes turbulence of the gases, upon firing, on account of the gases striking this sharply-tapered shoulder and turning back upon themselves. This turbulence increases the speed of burning and thereby increases the breech pressures. When a case of this type is necked-down, following the original sharp shoulder taper, to a smaller caliber, without changing the body taper, we have a very rapid rise in breech pressure, for the turbulence is increased. When Donaldson necked-down the Krag case to .22 caliber, to produce the .220 Donaldson Krag, he increased the taper of the body of the case, decreased the diameter of the case at the shoulder and decreased the taper of the shoulder from the body to the neck, thus easing the passage of the gases to the neck. This resulted in .220 Swift velocities with decreased pressure, because the turbulence was reduced. The .280 Ross case has a large powder capacity and you will note that it has quite a steep body taper. This had two objects, it decreased turbulence of powder gases, and thereby reduced breech pressure, and it also gave easier extraction than with a straighter case. The .257 Roberts cases, as custom made, had a long, easy shoulder taper which was replaced with a shorter, more steeply tapered shoulder by Remington when they began manufacture of this cartridge. While making this shoulder steeper in taper raised breech pressures somewhat, it corrected one fault the original cartridge had. This long, easy-tapered shoulder on the original cases directed the powder gases against the throat of the rifle bore, beyond the neck of the cases, whereas the steeper tapered shoulder directed these powder gases against the inside of the cartridge case neck. This probably reduced throat erosion somewhat. The second result of shortening this shoulder and making its taper steeper, was to give much longer life to the dies which produced the cartridge case, which would be an important point in manufacture. When a large-bodied cartridge case, or any cartridge case for that matter, is necked-down to a smaller caliber, the powder must be changcd from that previously used in the case, to get the best results. The change should always be to a coarser, slower-burning powder, for turbulence will be increased by the decreased neck diameter of the case, raising the burning speed of the powder. This condition calls for a slower burning powder, which in turn allows us to use a heavier charge, resulting in increased velocity. If a cartridge case using a more or less modern type of powder is necked-down to a smaller caliber, it is unsafe to use the same powder in the same weight charge that was previously used, for pressures would run dangerously high. Primer flash-holes, in cases that have been fired and reloaded a number of times, become enlarged by the primer flash. This has two results, it raises breech pressure by igniting the charge faster, causing faster burning within the case, and it allows more pressure from the charge to reach the primer, resulting in pierced primers. 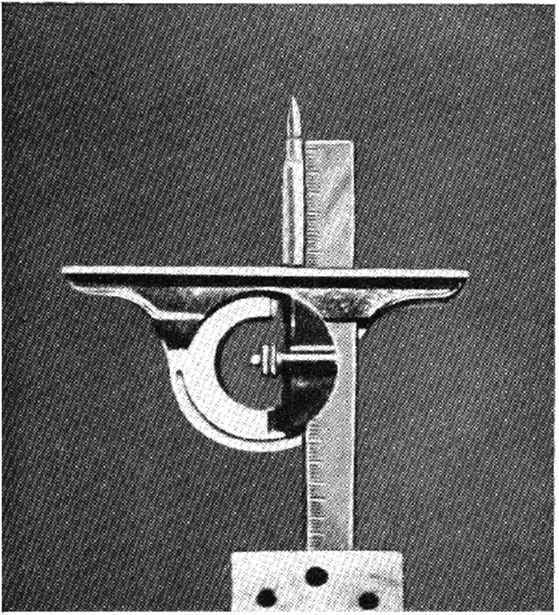 Method of taking measurements of a rifle cartridge for body taper, by use of a protractor. The blade of the protractor is held upright in a smooth jaw vise, with the base of the protractor head on the upper side and the head clamped to the blade. The angular adjustment of the head is left loose and the cartridge to be measured for body taper is set head down upon the base of the protractor head. The protractor head is then angled until the edge of the blade contacts the full length of the body portion of the case being measured for taper. This taper, in degrees, is then read oft of the protractor scale. This will be the angle with the center line or one-half the included angle made by the tapered sides of the cartridge body. Bullets, besides being weighed, should be measured for diameter and separated into like groups, and for target purposes should be, tested for concentricity, all nonconcentric bullets being discarded. * Cases should be measured for thickness of brass in the necks all around, as case necks that are thick on one side and thin on the other results in bullets being seated out of line with the body of the case, which may result in poor accuracy. A careful study of a good book on reloading, such as Naramore's "Handloaders Manual," should be made in preparing loads for cartridges, especially cartridges of the "home brew" type made by re-forming some existing cartridge. This volume of Naramore's is the best book of this type for the beginner that I have ever seen, for it teaches him fundamentals, but the old handloader can learn considerable from it also. We have cautioned you in this chapter about handling high-powers, suggesting the proper actions, etc., and these actions are the ones to be used, but they must be in good condition, don't forget that point. A badly-battered, old action, with loose-fitting pins should be shunned, for it may have enough looseness so that it cannot hold proper head-space. No .22 or 25 rim-fire action should ever be used for any kind of a high-power cartridge. The .22 rim-fire high-speed cartridges should also be handled cautiously, in regard to rifles in which they are used. The older type of .22 rim-fire cartridge gave only half as much pressure as the highspeed variety and there are many old .22 rifles floating around that were not strong enough when they were new to handle the .22 high-speed cartridge. Makers were more careless about length and shape of firing-pins years ago, when making rifles for the .22 rim-fire cartridges, and while the brass cases used on most .22 high-speed cartridges today are stiffer and stronger than the old copper cases were, these brass cases are more brittle so that when not properly supported by a close-fitting chamber and breech-block they are liable to split, or when struck by some of those old firing-pins mentioned the rim may break, letting gas of 20,000 pounds or more pressure back into the action, which may blow an extractor, firing-pin or hammer into the shooter's face, endangering his eyesight and even his life. Hence, I am warning you again, be careful of these old klucks and how you graft new barrels on them for higher-power cartridges than they were designed for, because it will usually result in grief to someone.